How to split PDF files by blank pages and delete the last ones? All of us sometimes need to deal with multi-page PDF files. We all realize that it is much easier to find the information we need in short rather than 100-pages long documents. 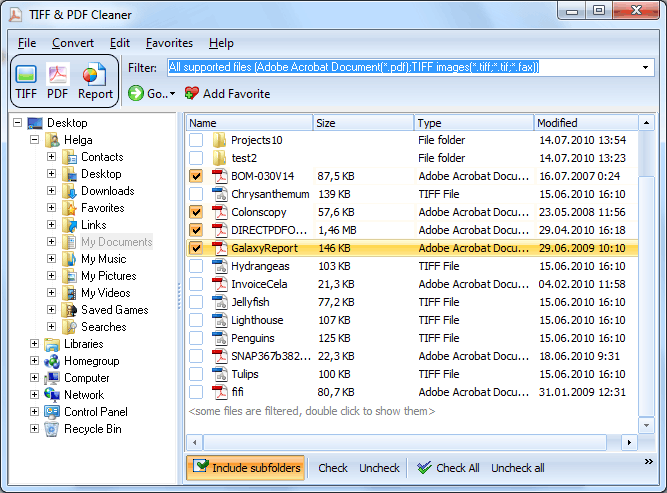 CoolUtils understands consumers' needs and presents TIFF PDF Cleaner, a unique tool designed to split TIFF and PDF documents and delete empty pages from them. 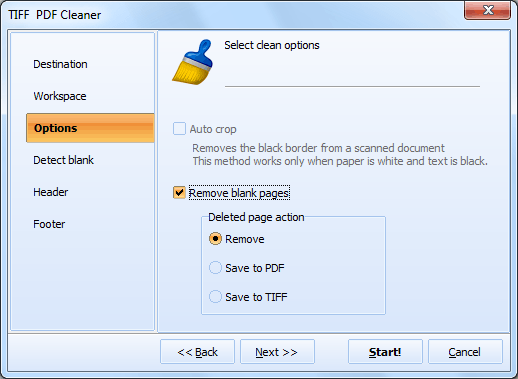 Today we'll learn how to split PDF files by blank pages and delete these blank pages with TIFF PDF Cleaner. The first thing that you should do is to download TIFF PDF Cleaner. CoolUtils is happy to offer a 30-day free trial version of this program so that you can see whether it works for you or not. 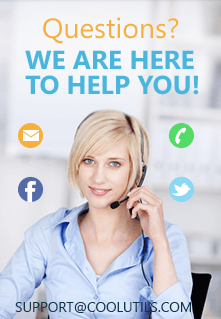 Simply download the trial version and enjoy quick and efficient conversion and splitting of TIFF and PDF documents. Follow the simple instructions of the setup wizard and install the app. To use GUI (user interface), please, double-click on the program's icon or select it from the start menu. In the program's window, locate the tree of folders and files. It is in the left-side column. 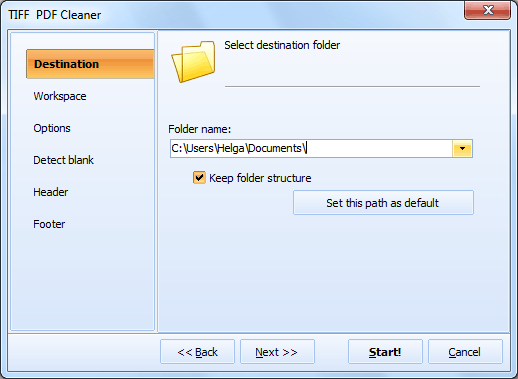 When you choose a proper folder, TIFF PDF Cleaner will show you the supported formats available in this folder. Select the folder where your file(s) are located in, and then tick off the files you want to split. Then choose PDF as the target format by clicking on the "PDF" button on the top bar of the program. A new window will appear. In the "Destination" section, select "Split by blank page" option. Then, in the "Options" section select "Remove blank pages". And finally click "Start!" to begin the process! It is 100% automatic. Also, with TIFF PDF Cleaner you can delete the unnecessary black border from the scanned documents, add date or page numbers to each PDF page, and, of course, convert PDF to TIFF and vice versa. Give it a try now! How to delete blank pages for TIFF files? How to delete blank pages for PDF files?